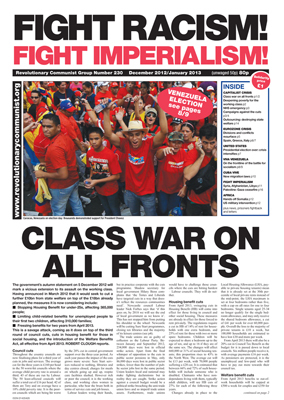 If you’re tired of conducting all your political struggle from behind a computer screen, or if you’ve had enough of being told to just get out and sell copies of the Morning Star or Socialist Worker – then you need to think about joining Red Youth. 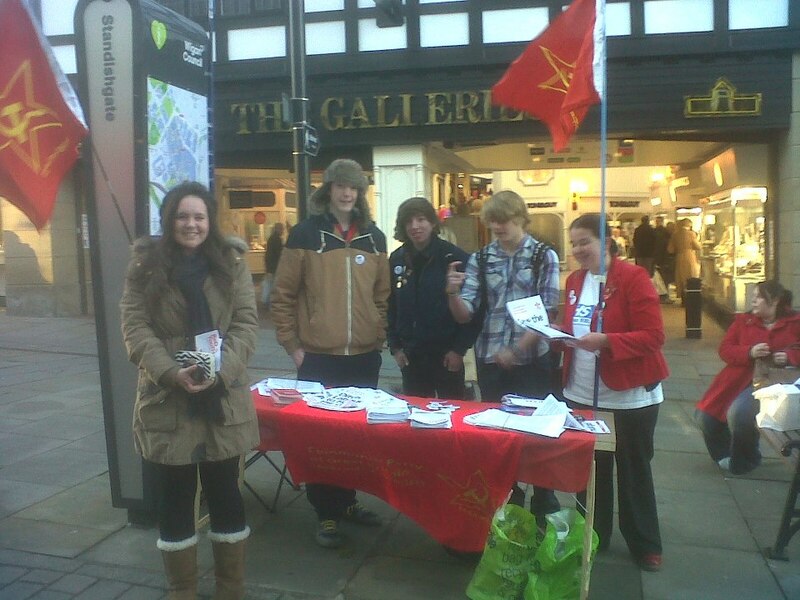 the rest of the ‘left’ we encourage our comrades to take our socialist message out onto the streets. Members in the North West today spent the afternoon putting our line on saving the NHS to the general public and regularly set aside time for political discussion and study. 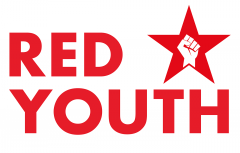 Many other Red Youth members in some of the other major cities in the UK were doing similar work and if you’re thinking about finding out more about us then drop an email to info@redyouth.org and we can put you in touch with a local group. Better to be out on the streets than stuck at a Morning Star jumble sale or listening to Ree’s,, German and Co drivel on trying to justify war in Syria! An understanding of society (theory) and a way of uniting to change it (organisation) are the two things that we need to make a socialist revolution. Ordinary people in Britain have everything to gain by getting involved in this process sooner rather than later. This world isn’t working for us and we deserve better! Not only do we need to campaign against the bad conditions and lack of prospects for working-class people in Britain today, but we need to work for a completely different type of society – one where people’s needs decide everything. So many problems face this world: environmental catastrophe, poverty, disease, racism and war. They’ll never be solved while capitalism remains, but they could all be sorted if society was set up for the benefit of the majority rather than the private gain of a few billionaires. Our party is different because we consistently apply Marxist science to all areas of our work, and we’re not scared to tell it how it is. We refuse to be intimidated by the barrage of lying propaganda that fills Britain’s mainstream media. It is the capitalists’ job to try to stop us from building a socialist society; it is our job to do it anyway! Challenge your ideas – challenge their propaganda – seek the truth – serve the people – change the world!